GoodReads Summary: A thoroughly delicious picture book about the funniest "food fight!" ever! Lady Pancake and Sir French Toast have a beautiful friendship—until they discover that there's ONLY ONE DROP of maple syrup left. Off they go, racing past the Orange Juice Fountain, skiing through Sauerkraut Peak, and reeling down the linguini. But who will enjoy the sweet taste of victory? And could working together be better than tearing each other apart? The action-packed rhyme makes for an adrenaline-filled breakfast . . . even without a drop of coffee! 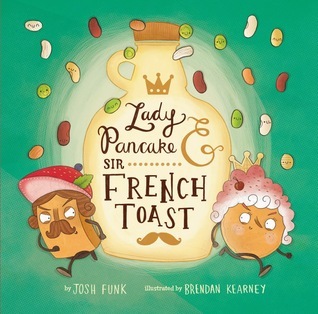 What I Think: There has been a lot of talk about breakfast food around my house since we received a copy of Lady Pancake and Sir French Toast to review. My kids happen to totally love French toast but after we read the book, I pulled out our copy of Lisa Loeb's Silly Sing Alongs to make sure I got the words right to the song "Disappointing Pancake" and I've been singing it ever since. There's just something so yummy about great breakfast foods that it makes people want to write books and songs about them. If you haven't heard "Disappointing Pancake" or Parry Gripp's "Do You Like Waffles?" prepare to get them stuck in your head. I included them hear for you to listen to. They match so well with Lady Pancake and Sir French Toast. I love books that connect well with other books but also with songs...and food! Lady Pancake and Sir French Toast is like any adult's dream when it comes to tying in activities and matching text to go along with it. I can totally see planning a whole family reading night around this book. You could have a pancake breakfast for dinner - with whipped cream and sprinkles of course - and breakfast food relay races and costume contests. And I'm only getting started. As a mentor text, I'm glad we have another quality rhyme book to share with students. Sometimes it feels like a bit of a lost art form so I'm glad Josh chose to rhyme with this picture book. I think it really helps to make the story move along to keep pace with the characters as they race to the syrup. There are many opportunities in this book to look at word choice as well as to give kids an opportunity to learn about (and maybe even try, depending on how adventurous you are) different types of foods. It's surprising how many kids don't knows what certain foods are. It could also be a great way to start a discussion about healthy foods. I actually think it's cool that the pancake and the French toast are off on a race...maybe it's away to share how it's okay to eat pancakes and French toast but it's important to exercise to balance that out. See? So many things to do with this book! up in the corner, and back by a roast, sat Lady Pancake beside Sir French Toast." 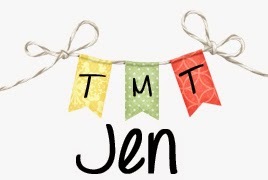 Writing Prompts: Write about a time in life when you were competing for something. Write about a time in your life when teamwork was better than working on your own.